The Monk Makes RGB LED for the BBC micro:bit provides a colorful add-on to your BBC micro:bit. 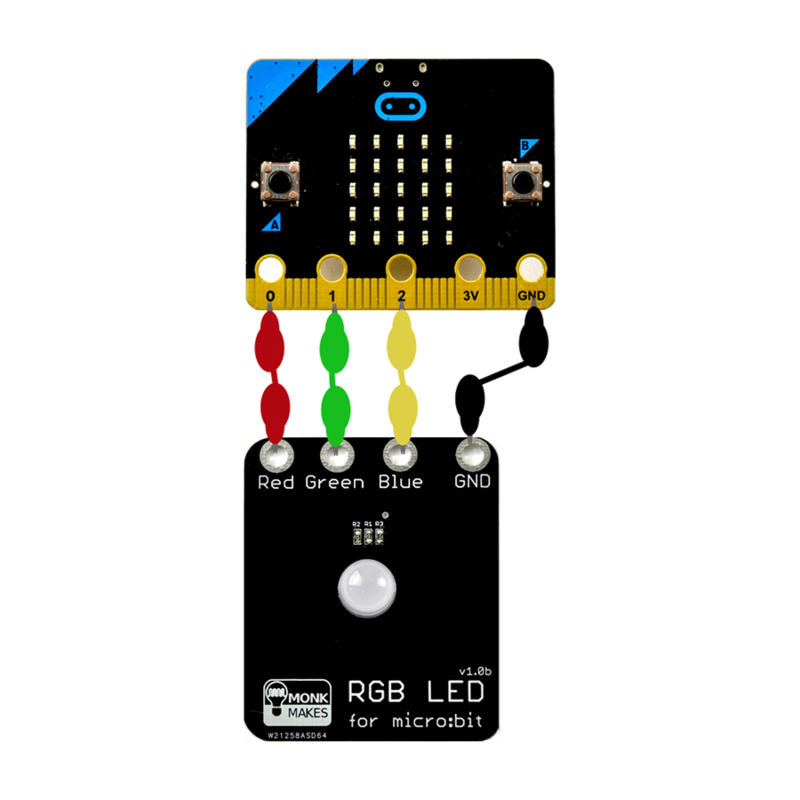 Use the three outputs of your micro:bit to control the red, green and blue channels to mix up any color of light you want. The MonkMakes RGB LED for the BBC micro:bit provides a colorful add-on to your BBC micro:bit. 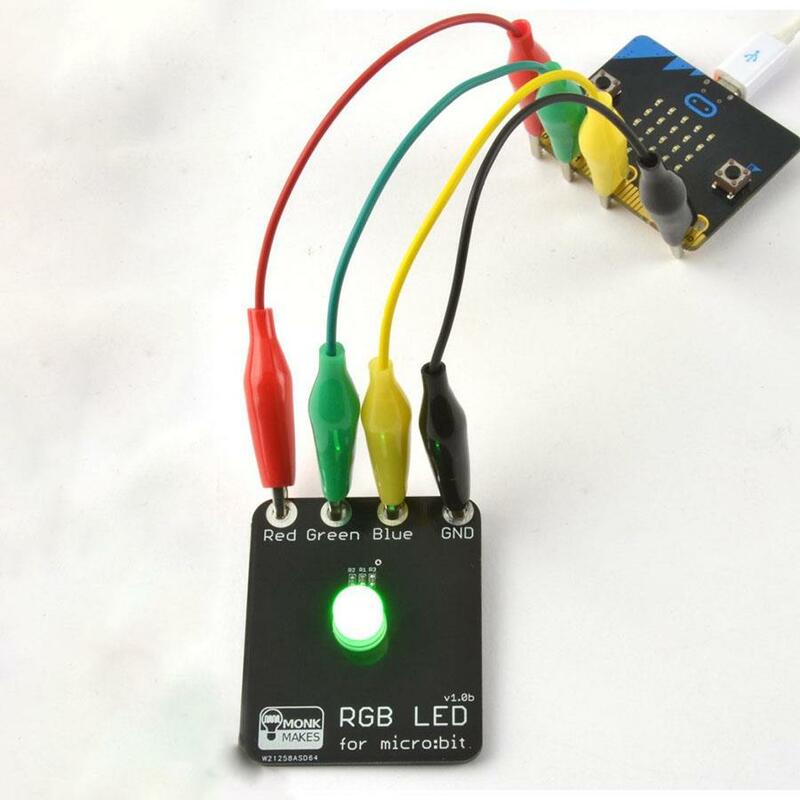 Connect it up with alligator clips and then use the three outputs of your micro:bit to control the red, green and blue channels to mix up any color of light you want. Note: The Monk Makes RGB LED for the BBC micro:bit does NOT include a BBC micro:bit. The BBC micro:bit board will need to be purchased separately.